Since March is National Nutrition Month, we thought this would be a good time to remind everybody of the link between nutrition and health. Spring marks the beginning of gardening season. As every good gardener knows, plants and vegetables thrive when they get the proper balance of nutrients such as Nitrogen (N), Phosphorus (P) and Potassium (K), and water. Likewise, the human body relies on certain nutrients (Protein, Carbohydrates, Fats, Vitamins and Minerals) and water to grow and thrive. Consuming the proper balance of these dietary components can improve your healthy in a myriad of ways, including boosting your energy levels, strengthening your ability to fight off disease and infection, and improving your memory and sleep patterns, to name just a few! Calories. Our bodies need a certain amount of calories to survive and function. We get calories from the foods we eat and drink. Use this tool to calculate your daily caloric needs based on gender, age, height, weight and activity level. If you’re cutting calories as a way to lose weight, be sure you’re cutting the right calories from your diet. Not all calories are created equal. For instance, 1 cup of puffed rice cereal contains about the same calories as three-quarters cup of bran flakes cereal, but the bran cereal contains more fiber, protein and potassium. A pound of fat contains about 3500 calories. To lose a pound a week, you’ll need to either cut 500 calories from your diet each day, burn 500 calories each day through physical activity, or practice a combination of the two. Protein. Often referred to as the body’s “building blocks”, protein plays a key role in the growth and repair of bones, muscles, cartilage, skin and blood, and the synthesis of chemicals such as enzymes and hormones. Healthier protein sources include lean meat, fish, chicken, eggs, beans and peas, nuts and seeds, low- or non-fat dairy products. Unhealthy protein sources include fatty or processed meats such as hamburger, hot dogs or salami, anything fried, salty or preserved; and regular dairy products. Carbohydrates provide energy and include sugars and starches. One of the most important carbohydrates is glucose, also known as “blood sugar,” which plays a crucial role in the conversion of food to energy. Healthier carbohydrates include whole grain breads and cereals, fresh vegetables and fruits. Unhealthy carbohydrates include white bread, rice or pasta, potato chips, pastries, desserts, candy, soda and refined sugars. Dietary fiber is a special type of carbohydrate found in plants. Rather than be absorbed in the bloodstream, fiber works in the small colon to help prevent constipation, regulate food intake (by creating a feeling of fullness) and reduce cholesterol levels. Fats are used for energy storage, nervous system function, maintaining healthy skin and other tissues, dissolving water-soluble vitamins so the can be utilized by the body, and making hormones. 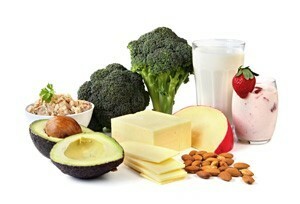 All people need some dietary fat; in fact, essential fatty acids, such as omega-3s, can only be obtained through diet. Regardless of the source, all fats should be used sparingly. Unhealthy fats include saturated fats from animal products (meat, poultry skin, butter, high fat dairy), coconut oil and palm oil. Trans fats are man-made compounds that many manufacturers use in place of saturated, natural fats. They have a long shelf-life, which is why trans fats are present in forty percent of foods on supermarket shelves. Research now shows that trans fats raise the level of bad cholesterol in your bloodstream, contributing to clogged arteries and heart disease. As a result, many manufacturers have begun removing trans fats from their products. Vitamins play a role in hundreds of processes in the human body. They are organic compounds, meaning they come from living things. They are classified as either fat-soluble or water-soluble. The fat-soluble vitamins are stored by the liver and fatty tissue and include Vitamins A, D, E, and K. The water-soluble vitamins are not stored by our bodies and any unused portions are expelled as waste. The water-soluble vitamins include Vitamin C, the B-vitamins (thiamine, riboflavin, niacin, pantothenic acid, pyridoxine, biotin and cobalamin), and folate. Fat-soluble vitamins can be found in fatty foods and animal products, such as vegetable oils, milk and dairy foods, eggs, liver, oily fish and butter. 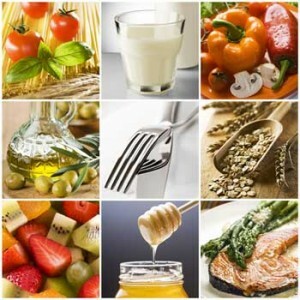 Water-soluble vitamins are found in fruits, vegetables, potatoes, grains, milk and dairy foods. Minerals help our bodies function in a myriad of ways. They are inorganic compounds, meaning they are not made by living things. From a nutritional standpoint minerals are classified as either macrominerals and trace minerals. Two of the most important macrominerals are calcium, used to build strong bones and teeth, and iron, which helps transport oxygen from our lungs throughout our bodies. The main trace minerals are magnesium, manganese, molybdenum, phosphorus, potassium, selenium and sodium. Most Americans consume twice the recommended daily allowance of sodium. Over-consumption of sodium is major factor in the development of high blood pressure, a condition affecting one in three adults has high blood pressure. Most people with high blood pressure aren’t aware they have it. Nutrition professionals generally agree that fresh and unprocessed foods are preferable over processed foods. There are good reasons for this: fresh foods naturally contain a wide variety of nutrients and are usually lower in fat. They do not include added sugars and salt, additives, preservatives and artificial coloring found in many processed foods. If you’re like most people, your diet probably includes a combination of fresh and processed foods. 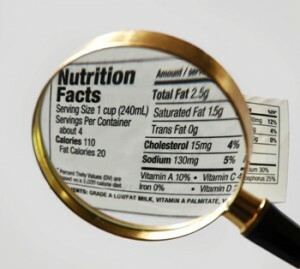 Most packaged foods are required to have a Nutrition Facts panel, or label, on the outside of the package. Some notable exceptions include foods served in restaurants, delivered to homes ready for immediate consumption, or sold directly to consumers from the location where prepared, such as bakeries. Serving size. This is a suggestion of how much of a food you should consume at one time. These guidelines were initially determined in 193. 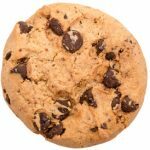 Recognizing that our eating and drinking patterns have changed over twenty years, in 2014 the Food and Drug Administration proposed a number of changes to the Nutrition Facts Panel, including calculating “serving size” based on what people actually eat, rather than what they “should” eat. How much nutrition do you need? The answer depends on your age, gender, and goals, and current health status. Click here to see your Daily Goals for Nutrition Based on Age and Gender. Bigger isn’t necessarily always better. Be on the lookout for nutrients with extraordinarily high %DVs, especially if you’re already getting those nutrients from other sources. Sodium and sugar are often added in levels multiple times the recommended daily value. Sugars. Most of us consume too much sugar. Over-consumption of sugar has been cited as a leading cause of obesity, which now affects two out of three adults and one in five children. Because sugar enhances flavor and texture, it is added to many foods you wouldn’t expect. For instance, one tablespoon of ketchup contains about 4 grams of sugar–more than a typical chocolate chip cookie! Ingredients are listed in order of quantity. The ingredients list offers valuable clues as to whether a food is healthy or not. If sodium (also called salt, NaCl, sodium benzoate, disodium and monosodium glutamate, or MSG) or sugar (also known as fructose, high fructose corn syrup, sucrose, lactose, dextrose, and any other ingredient ending in “ose”) rank high on the ingredients list, you may want to put that food back and look for a healthier option. Food allergens. Each year anaphylaxis caused by food allergies sends thousands of people the emergency room. Since 2004 the FDA has required all Nutrition Facts panels to indicate whether a food contains any of the eight major allergenic foods: milk, eggs, fish, Crustacean shellfish (e.g. crab, lobster, shrimp), tree nuts (e.g., almonds, walnuts, pecans), peanuts, wheat, or soy beans. If you have allergies or other food sensitivities pay special attention to this area. Currently the FDA does not require a manufacturer to indicate the potential or unintentional presence of food allergens resulting from “cross-contact” during manufacturing. Some Nutrition Facts panels include advisory languages such as “May contain [allergen]” or “Produced in a facility that also uses [allergen]” but this is not required.